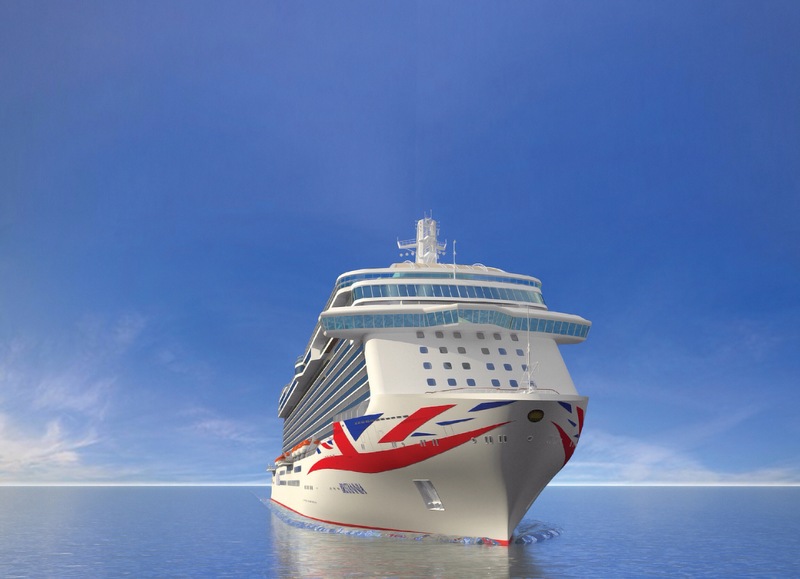 The world’s largest Union Flag – 94m long – will be displayed on P&O Cruises’ new ship Britannia. 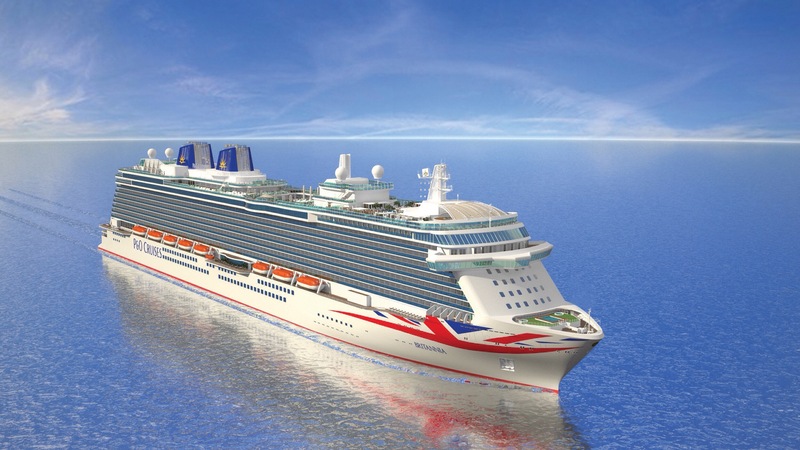 The iconic hull design and new blue funnels with rising sun motif are being introduced across the Southampton-based fleet, starting with Aurora after her drydock later this year then Britannia at her launch in February 2015, and on all other P&O Cruises ships by the end of 2016. The illuminated rising sun depicts the Oriental part of the Peninsular and Oriental (P&O) name on the company’s coat of arms. The company, part of the American-owned Carnival Corporation, said it wanted to celebrate its British heritage and its place as Britain’s favourite cruise company, as confirmed in the Travel Weekly Globe Awards in London last night. Chief executive officer David Dingle said: ‘In our 177th year we are unveiling a new, contemporarily styled livery which symbolises all that we stand for, pointing to the future and celebrating our British heritage. This bold new look will make our ships yet more distinctive and recognisable across the world. P&O Cruises’ roots date back to 1837, when the Peninsular & Oriental Steam Navigation Company was awarded the Admiralty contract to carry mail to the Iberian Peninsula and beyond. This entry was posted in News and tagged bow, Britannia, British, fleet, hull, P&O Cruises, union flag, union jack. Bookmark the permalink.